who knew old navy was a house of horrors? I went shopping two days ago with Asher. It seems I’m on a never-ending quest for everyday jeans, since that’s my wardrobe…every day. Dropping Asher off at kindergarten? Jeans. Nannying? Jeans. Coffee with a friend? Errands? Writer’s group? Jeans jeans jeans. We were waiting for work to be finished on our car so we basically killed time running errands in the loaner, not wanting to go all the way home when we’d be called back any time. We went to Krispy Kreme for a special mid-afternoon treat. And then to Old Navy in hopes that the roof would hinge open, and a ray from the heavens would shine onto my perfect jeans that fit like a comfortable glove. The jeans shopping went fine. There was a decent sale and selection, and I settled on a pair I like. Not heavens-parting-perfect, but good enough. Asher was reasonably cooperative to allow me to get my necessary item picked out and even tried on, so after that chore we had time to browse around the store. Brian’s latest quest is casual-dressy shirts (is that a thing?) that he can wear out. Out for a date night, out to dinner with friends, out to a friends’ house, maybe even suitable for work. But being in the men’s section was also loaded. Loaded to the brim with memories of picking up things for Kade. Though I hadn’t been to Old Navy all that recently, it’s been a favorite place of mine in all his years of growing up. We strolled our cart past boxers, socks, PJ bottoms, t-shirts. The basics, as well as the more fun stuff: shirts, flannels (twist a dagger in my heart, they had nice prints of soft and bright flannels! I would have totally looked for his size: Large, XL, or XXL, depending on which magnitude of over-sized he was in to at the time). It was an old familiar maternal feeling being triggered that logic didn’t seem to turn off. Being sure he had enough. Socks? Boxers? T-shirts? I felt it. I knew he was gone, and had no need for clothing, and still I felt it. My brain kept going back to it. What does he need? What is he low on? I could not cry and let loose in Old Navy, so I plastered on a smile, or at least a shopping face. I even played a short game of fast-walking tag because Asher asked me to, he’d been shopping for a long time, and no one else was in that section. But I was feeling sad, so sad. So tangibly, soft flannel, teal-blue thermal crew neck with flecks that would bring out his brown eyes, sad. Queue the angry part: I swear, I get sick of mourning every last piece of my life with Kade. It’s not a one-time thing. It’s a life-time thing, reliving each tiny piece as it presents itself. They all get re-examined, one by one, as I live my life: each bit that made up the mosaic of our lives together. Queue the questioning part: The men’s department was another part of that mosaic. Will it ever be done? 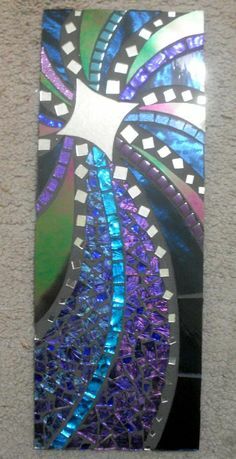 Will the last piece, one day be placed, and mosaic be finished? I doubt it, because then another will disclose itself in a slightly different way. Two days ago it was boxers and socks at Old Navy. Maybe another day it will be skate shoes at BC Surf and Sport. I sure get tired of the mourning and the remembering and even the honoring. Queue the wishing part: I wish a trip to Old Navy could be a simple matter of stocking stuffing (Yay, penguin boxers! 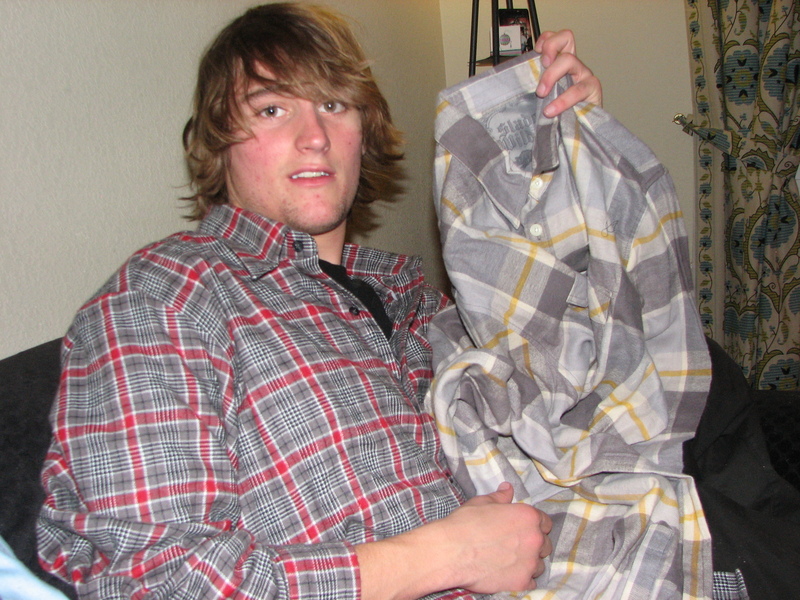 ), or checking boxes off my Christmas list (Gee, Mom, thanks for my thousandth flannel! ).